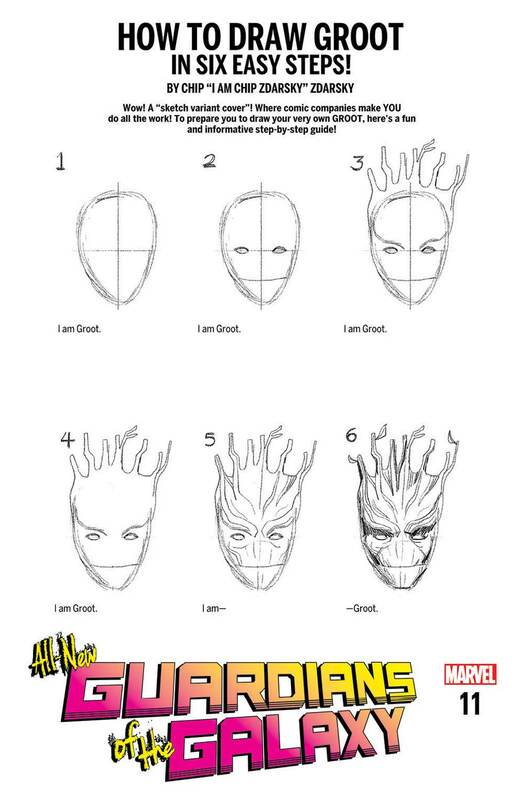 Have you ever wanted the great power and responsibility of drawing Spider-Man? 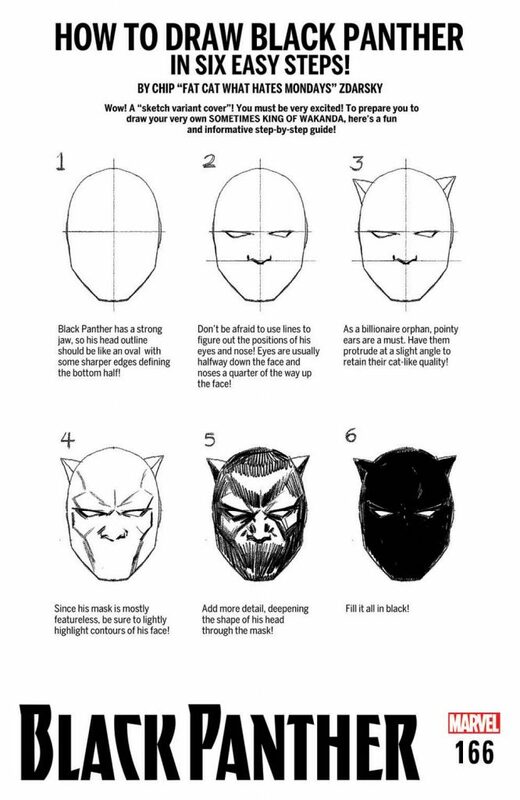 Do you look at the pages of Black Panther and wish you could draw a Wakandan king? 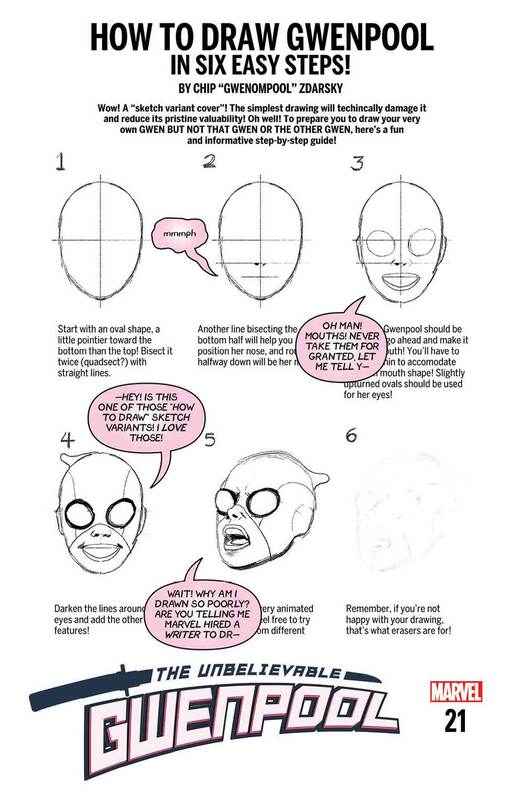 How often have you been tempted to break the fourth wall and draw Gwenpool? 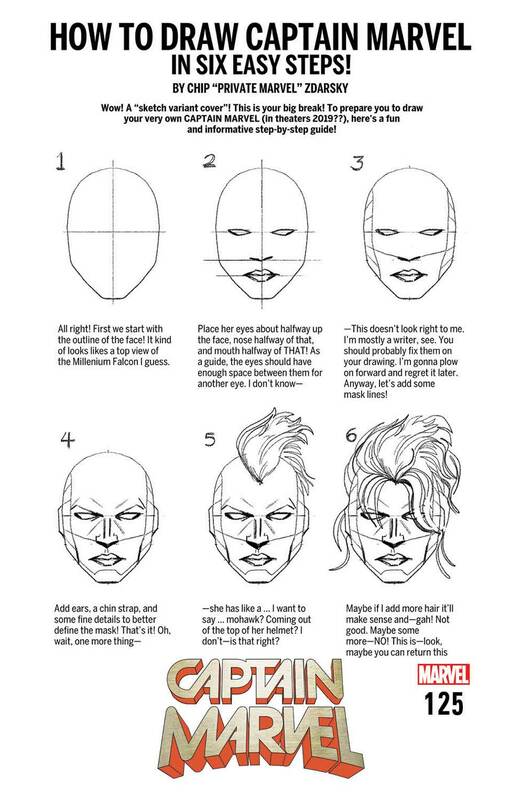 Now fans can learn how to draw like a super hero with How To Draw Variant Covers by Chip Zdarsky (Peter Parker: The Spectacular Spider-Man, Howard The Duck, Star-Lord.) First appearing on the back of a blank variant cover on Peter Parker: The Spectacular Spider-Man #1, HOW TO DRAW VARIANTS will debut on the covers of select Marvel comics this fall. Each custom cover features a step-by-step process for drawing one of Marvel’s iconic characters – along with some helpful “Zdarsky Advice” for good measure. “I don’t really know how to draw so this whole thing feels quite irresponsible,” said Chip Zdarsky, who must know how to draw. Right? This entry was posted in Graphic Examples and tagged Black Panther, Captain Marvel, Chip Zdarsky, Gwenpool, Marvel by Mike Glyer. Bookmark the permalink. 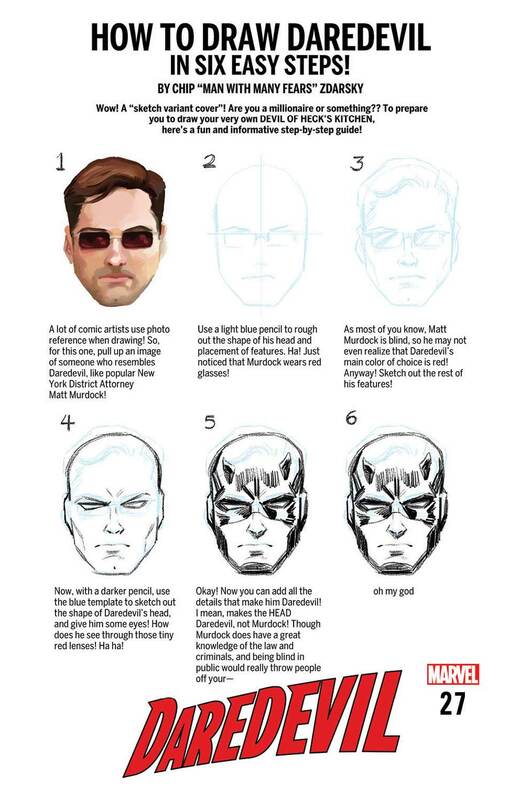 I particularly enjoyed the Daredevil one. I had the same reaction when I tried it with DC characters – as soon as I put the glasses on him I realized that Bruce Wayne is Clark Kent! I love that Steve (Chip) is getting wider attention. He was a very well-regarded local figure here in Toronto for years before his comics career took off in such a big way. This is funny. Although still beyond my drawing capability. Daredevil punchline made me LOL.